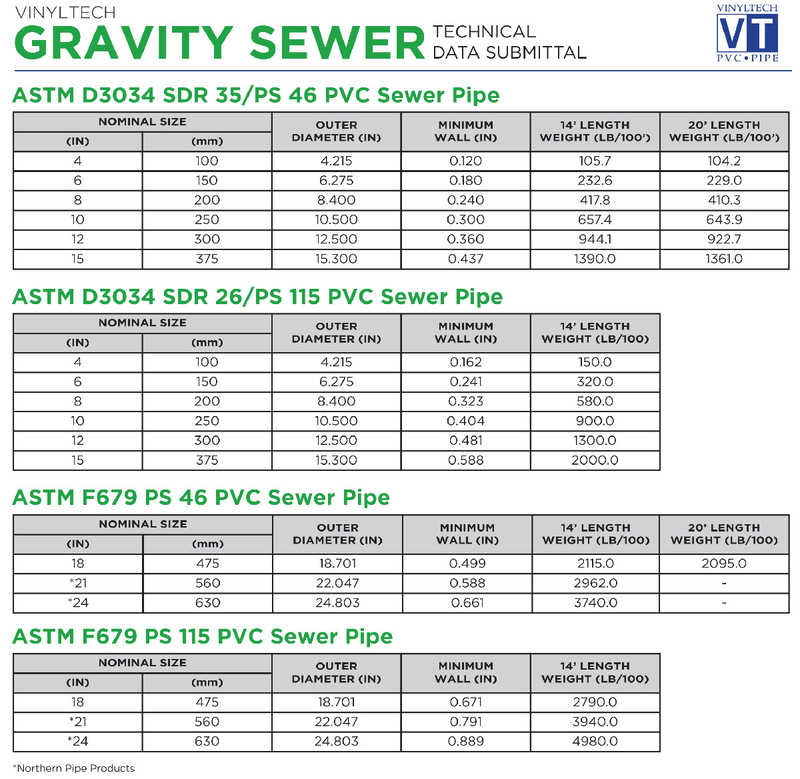 These specifications designate the re quirements for manufacturing and installing Vinyltech PVC sewer pipe. 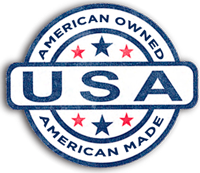 IAPMO (File No. 2128) – Uniform Plumbing Code (UPC) – Vinyltech sewer pipe is IAPMO listed for ASTM D3034 SDR 35 4-15 inch and SDR 26 4-12 inch. The pipe shall be extruded from compounds meeting the requirements of Cell Classification 12454, as defined in ASTM D1784, Standard Specification for Rigid Poly (Vinyl Chloride) (PVC) Compounds and Chlorinated Poly (Vinyl Chloride) (CPVC) Compounds. Vinyltech pipe shall be manufactured in accordance with AWWA C900. The gasket shall be reinforced with a steel ring and meet the requirements of ASTM F477. Vinyltech pipe shall have an integral bell end with a locked-in factory installed gasket and shall meet the requirements of ASTM D3212. The pipe shall be marked in accordance with ASTM D3034 and F679. Requirements for manufacturing and testing are conducted in strict accordance with ASTM specifications and are outlined in ASTM D3034 and F679. Recommended installation procedures of Vinyltech Corporation are outlined in ASTM D2321, Underground Installation of Flexible Thermoplastic Sewer Pipe. Assembling of PVC Sewer Pipe is easily accomplished by hand or by using a bar and block. A depth of entry mark serves as a visual check for rapid, accurate joint inspection. Do not over insert. Remove any mud, sand, or other foreign matter from the belled and spigot ends of the pipe. Carefully clean the gasket area. With a clean applicator (a brush or hand) lubricate the entire surface of the pipe from the spigot end to the depth of entry mark and the contact surface of the gasket with Vinyltech Brand Lubricant. Brace the bell to avoid disturbing the already installed joints. Align the pipe, insert the spigot into the bell and push. Do not insert past the entry mark line.